HIGHLIGHT PADDLE MEDIA - Free Fall Visuals. by Josh Pecaric, photos byAdam Freeman | DBP MAGAZINE ONLINE The World's Best Free Whitewater Publication. Josh Pecaric, Kettles on Bottoms Creek. ​Free Fall Visuals all began with the idea of capturing high quality videos and photos to highlight paddlers, the adventure aspect of kayaking, and showing the shear beauty of the rivers we travel down. Free Fall Visuals was created when Adam Freeman, Josh Pecaric, and Cody Adams teamed up in order to start the project. Who is Free Fall Visuals? ​While the three of us are from the southeast, we have come from very different paddling scenes and have become passionate about different aspects of the sport. Adam Freeman is from Marion, Virginia. Adam learned how to paddle at the Goshen Pass; eventually once Adam became a video boater in West Virginia his passion for kayaking exploded. Adam just came back from a kayaking trip this fall in Quebec. 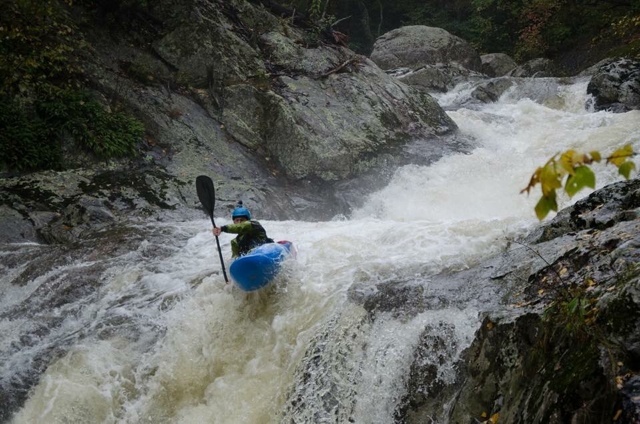 Josh Pecaric is from Roanoke, VA. After starting his paddling career on the James River and creeks in the area, Josh was introduced to Bottoms Creek. Bottoms, a few minutes from his hometown, became his home run through high school and still is to this day. Now living in Richmond, Virginia Josh spends a fair amount of time playboating and creeking. Josh went on a trip to California this summer to run Upper Cherry Creek, going on to lead canoe trips in Northern Ontario for the remainder of the summer. Cody Adams grew up in Fayetteville, West Virginia. 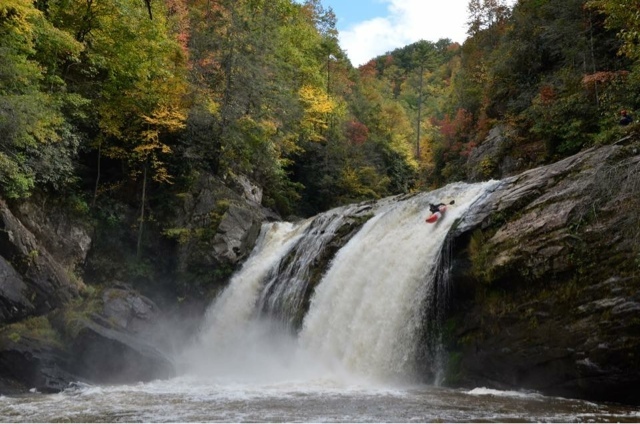 Since a young age Cody has been prominent in the West Virginia paddling scene. Cody is most passionate about expedition kayaking, having done extensive trips to Chile, Ecuador, and Columbia. While we all came from different paddling backgrounds we have all paddled with each other for the past few years and have become friends in the process. With the collaboration between the three of us and our vastly different paddling backgrounds it is beyond exciting to imagine what this project will lead to. ​What really brought us together was our passion for the sport and our love of photography/videography. While the majority of kayakers rush down the river and focus in on moving into the flow of the river, we have found pleasure in a different aspect of kayaking. To get out of our boats, take our time, and become fully enveloped in the beauty that is around us. Creating media for us is about taking you back in time to those moments and hoping you get the sense of the challenge, beauty, and passion that is found while kayaking. We are grateful for the support DBP has shown for the project and we will be sure to keep you up to date with what we will be doing. The link to our video we just posted of the Put-In slide on Upper Cherry Creek.